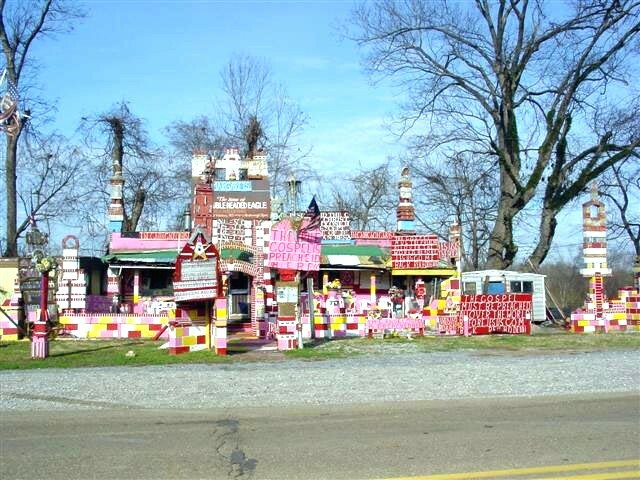 Many of these photos have no direct blues significance and are not associated with any particular Mississippi town. Many of them just struck my fancy as typical of the old Delta or simply as unusual or picturesque. I have noted the locations of those that I recall. 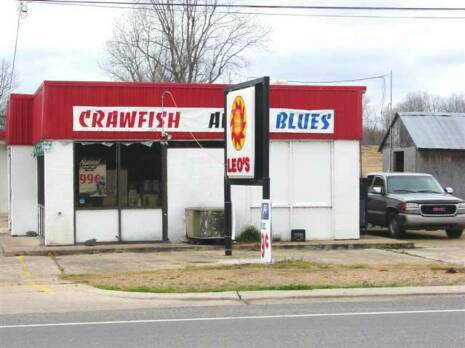 Leo's Crawfish and Blues. Definitely my kind'a place! Ninety-nine cent beer, too. 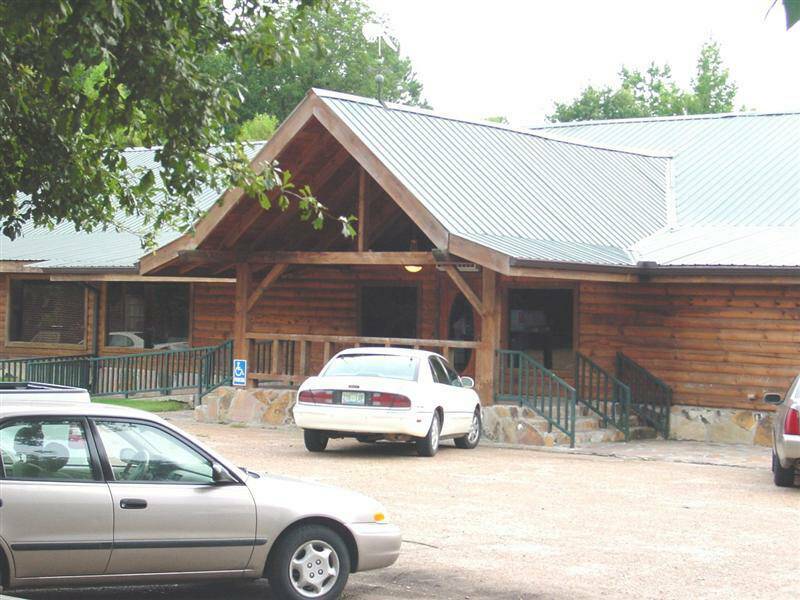 Leo's is in Rosedale, near the corner of MS HWY 1 and the road leading into River Roads State Park. 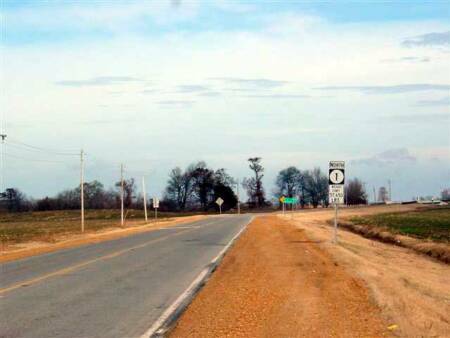 South of Tutwiler on US 49E. Below shot taken from the bridge viewing east and above is viewing south. 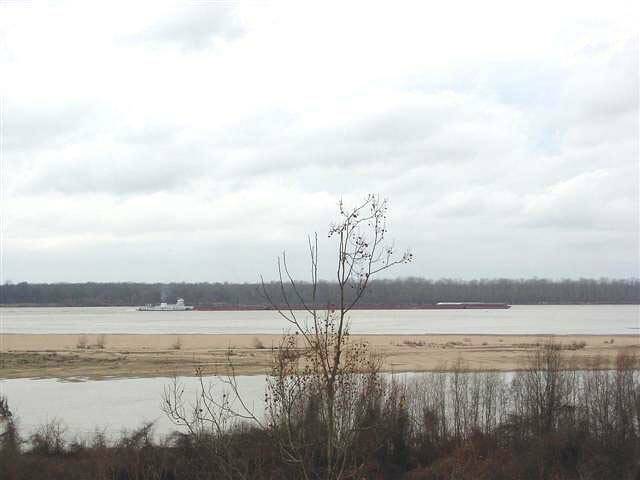 MS HWY 1, The Great River Road, just off US 61. Chatham, MS, about a mile off the Great River Road. 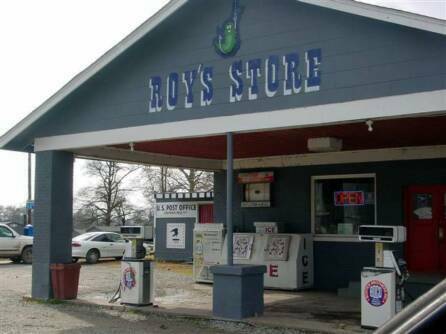 Roy's is a neat country store/museum/cafe and has good food. 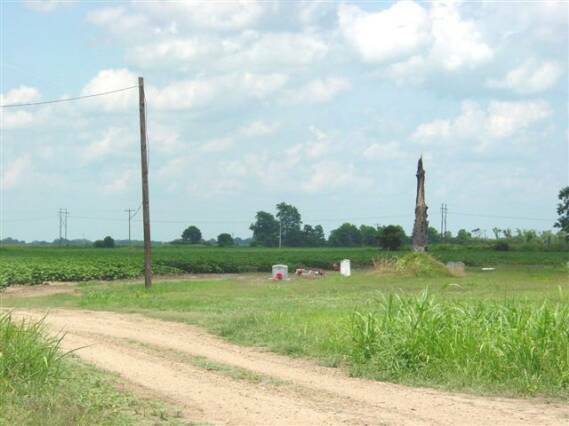 These two photos were taken from the same spot, the store viewing southwest and the bell viewing north. On MS HWY 3 north of Marks. These three photos were taken from spots about 10 yards apart. The one above is viewing north, to the right is viewing west and below is viewing east. 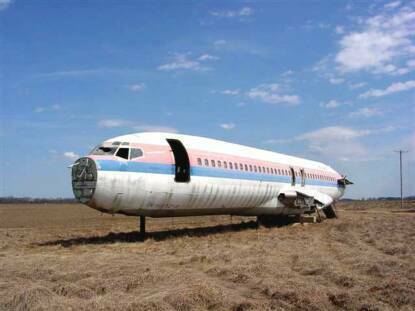 Airliner 'way out in a cotton field on the west side of US HWY 49E north of Greenwood. I was told it was hauled out there to be used for storage. 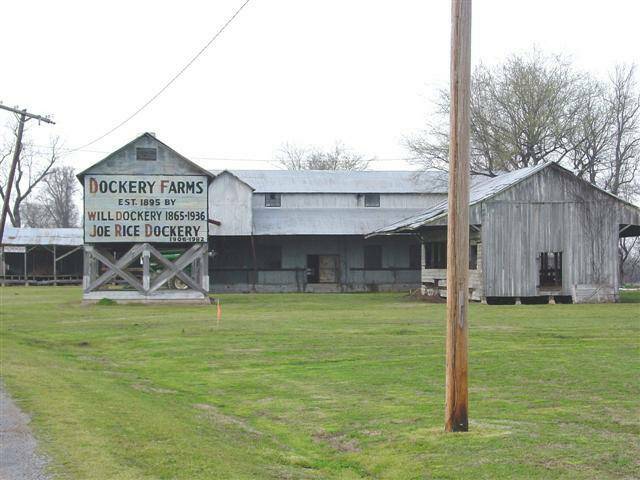 This is Dockery Farms, on MS HWY 8 east of Cleveland. 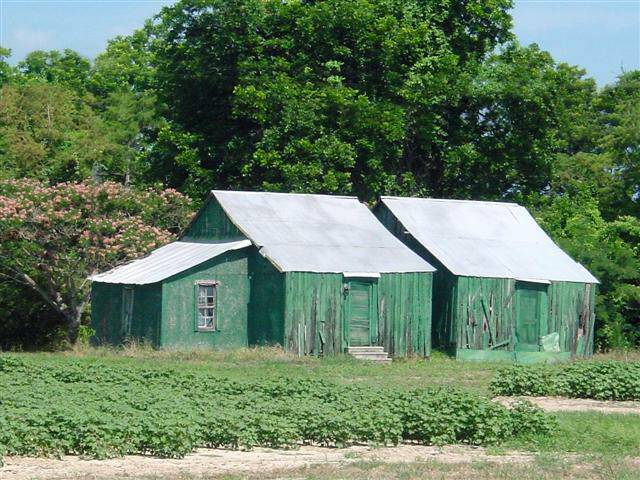 According to some accounts I've read, Charlie Patton grew up here. (See Charlie Patton biography on Holly Ridge Page.) In any case, Dockery once employed Charlie Patton and boasted frequent performances by Willie Brown and Howlin' Wolf. Pop Staples, of the Staples Singers gospel group grew up at Dockery. 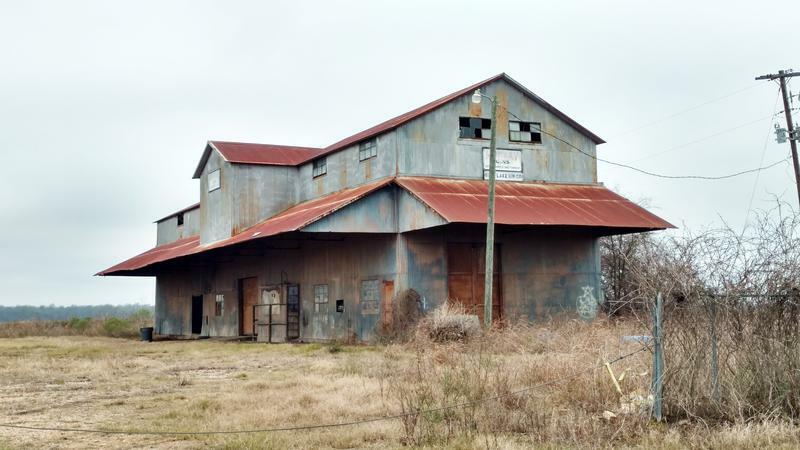 The plantation once had its own railroad depot and was served by the "Pea Vine, " a line that was part of the Yazoo & Delta, or "Yellow Dog" line. 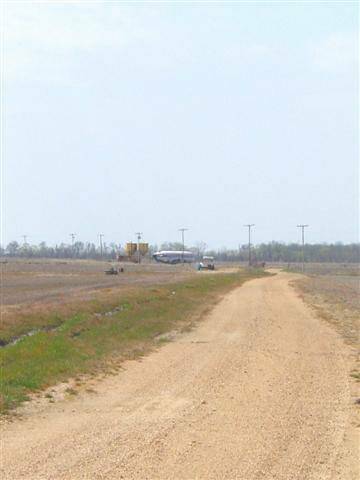 According to Steve Cheseborough in Blues Traveling, this is the site outside of Beulah of the crossroads in the movie Crossroads. 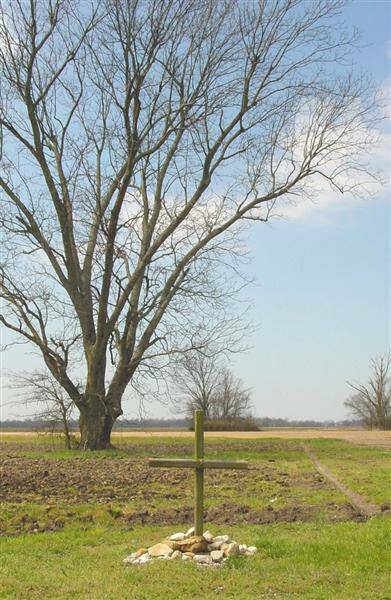 It was located following his directions and it fits his description of the site well, down to the graveyard and charred tree trunk. There's only one problem: There is no crossroads here. 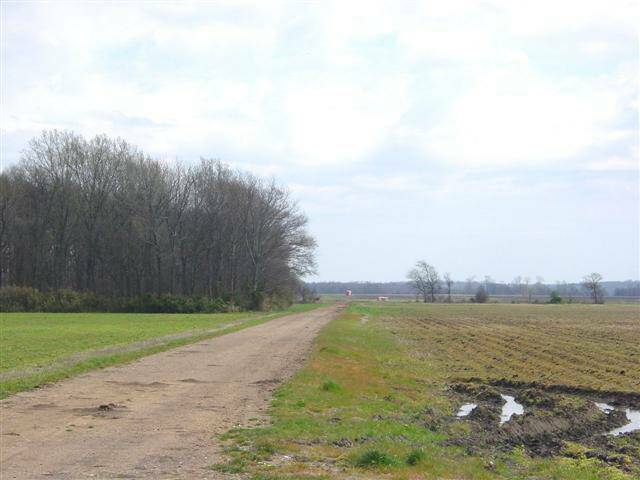 There are two small farm vehicle paths departing from the main dirt road which has a couple of curves to the left, but I could find no crossroads that resembles the one in the movie. 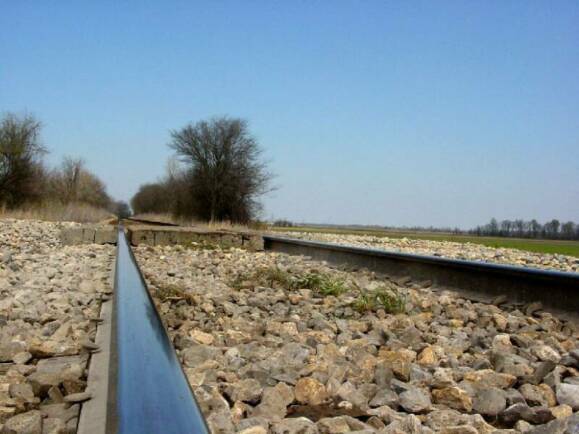 Perhaps the film crew laid down an extra roadbed to create the crossroads which has since been overgrown. The two photos above were taken ca.2005. 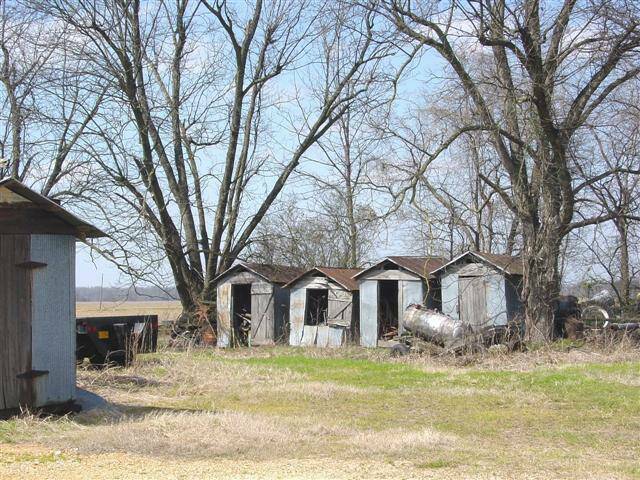 The photos below, of the same set of shacks, were taken in April of 2012. 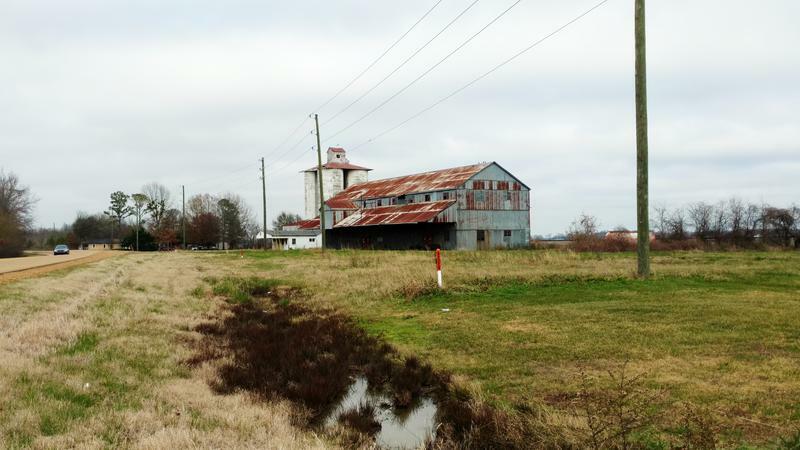 They illustrate how quickly the old Delta is deteriorating. Note the obvious roof leaks in the newer photos that are not present in the older ones. Also, there is much more siding missing in the newer photos. 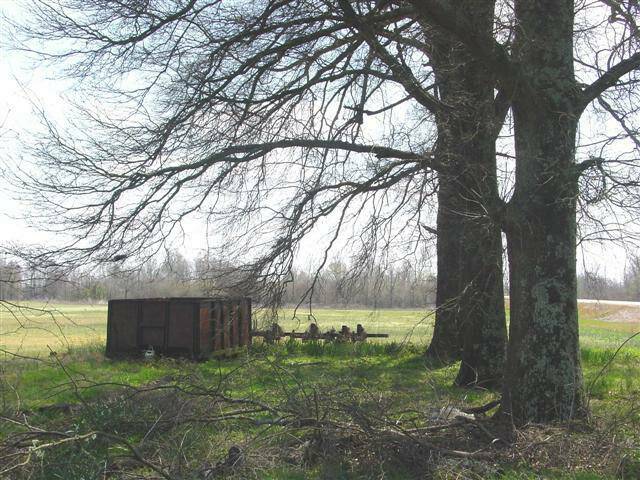 Once water has an entrance to their framing, the shacks don't last long. 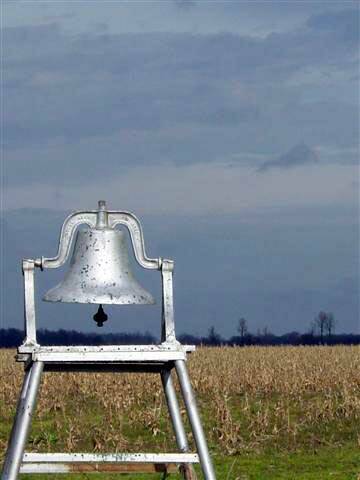 They are on the west side of US Hwy 61 Between Rolling Fork and Leland. 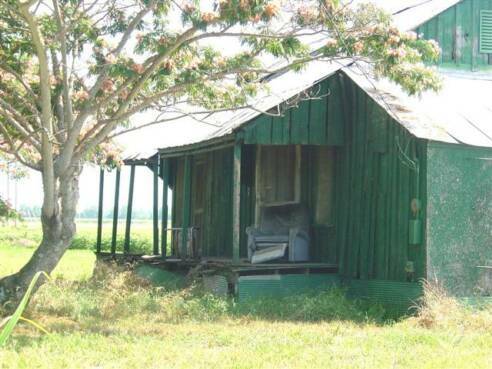 Only hints of the green paint remain visible and someone has appropriated the concrete steps that are on the left shack in the old photo. 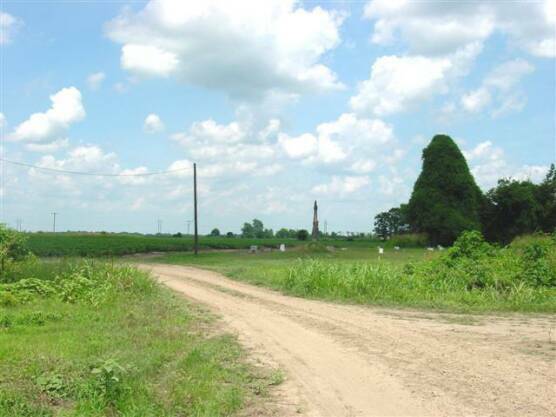 This Mississippi Blues Trail marker is located on the east side of US HWY 61 North of Clarksdale. Blues harp legend, Sonnyboy Williamson II (Rice Miller), took Cotton into his home when Cotton was only nine years old. Cotton's apprenticeship with Sonnyboy was the beginning of making James Cotton a blues harp legend in his own right and starting a long, illustrious career. Cotton played in Memphis with Hubert Sumlin before they both moved to Chicago, Sumlin to play with Howlin' Wolf and Cotton to play with Muddy Waters. Cotton replaced another blues harp legend, Little Walter, in Muddy's band in 1954. "It hurt me so bad I never asked him again. (Otis) Spann was sitting there and Spann said, 'Come on, Bro Cotton. I'll show you.' He played triplets on the piano and I started playing them on the harmonica. Spann learnt me how to play with Muddy. We were so close on him we knew what he could and couldn't say. Like, Muddy lisped and couldn't say 'trouble.' Spann would say, 'Watch him on the third verse, he's gonna jump time.' We knew how to catch the man." By the mid-1910's entertainers in tent shows were spreading the blues across the South, and one of the most popular groups was the Port Gibson-based Rabbit Foot Minstrels. Minstrel shows presented a wide range of comedy routines, skits, and song-and-dance numbers, and always featured a marching band. In the 1910s they added blues to their existing repertoire of classical, ragtime and popular music, playing it both instrumentally and in support of vaudeville-style female singers. Many performers later known for other styles of blues also spent time in ninstrel troupes, including rhythm and blues pioneer Louis Jordan and Rufus Thomas who worked as a comedian. White performers including Dam Emmett and T.D. Rice pioneered blackface minstrelsy, the first distinctively American theatrical format, in the 1830s and 1840s. African Americans soon followed them, particularly following the Civil War, and, like their white counterparts, they "blacked up" with makeup and enacted caricatures of black life that many whites believed to be authentic. The shows, all initially operated by white managers, were enjoyed by both black and white audiences and in the South seating was segregated. By the beginning of the 20th century, African Americans had begun organizing their own companies. Minstrel shows were often staged at large urban theaters, and in tandem with the growth of the railway syster troupes began traveling to rural areas as well, staging their shows under canvas tents. 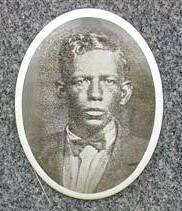 in 1900, Patrick Henry Chappelle, an African American from Floridia, produced a musical comedy called "A Rabbit's Foot," and by 1902 his Rabbit's Foot Company was touring as a tent show, though the popular attraction was billed as "too good for a tent." Following Chappelle's death in 1911, the company was taken over by F.S. (Fred Swift) Wolcott, a white entrepreneur from Michigan, who had been running a small minstrel company. 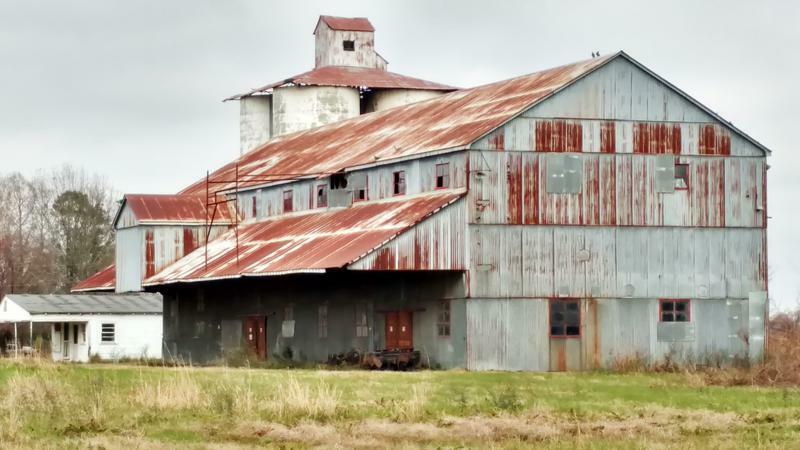 In the spring of 1918 Wolcott moved the company's headquarters to Port Gibson, where troupe members stayed in the winter, either in train cars or in the homes of locals, and rehearsed on a covered stage at Wolcott's home. The show remaind popular through the 1940s, and records suggest that its final performances were in 1959. Among the ranks of the Rabbit Foot Minstrels were many blues singers and musicians who at some point lived in Mississippi, including Big Joe Williams, Sid Hemphill, Willie Nix, Maxwell Street Jimmy, Jim Jackson, Bogus Ben Covington, Dwight "Gatemouth" Moore, Johnny "Daddy Stovepipe" Watson, and trombonist Leon "Pee Wee" Whitaker. ~ from the left side of the rear of the blues marker. 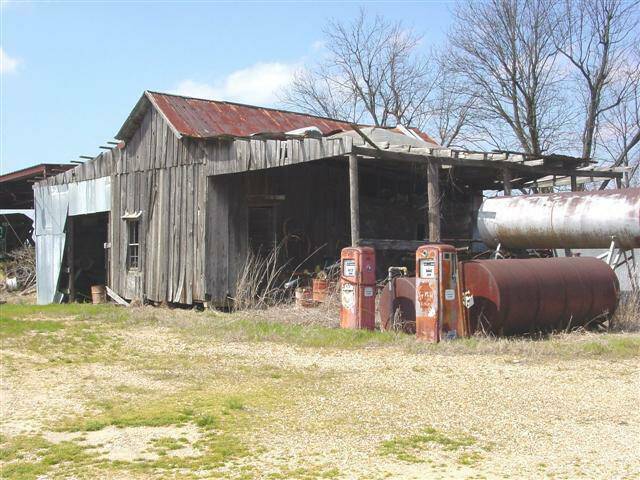 The Rabbit Foot Minstrels marker is in front of this old store, on a corner just to the south of downtown Port Gibson. I don't know whether this building has any connection to the Rabbit Foot Minstrels. This theater is on the corner immediately to the north of the Rabbit Foot Minstrels marker. 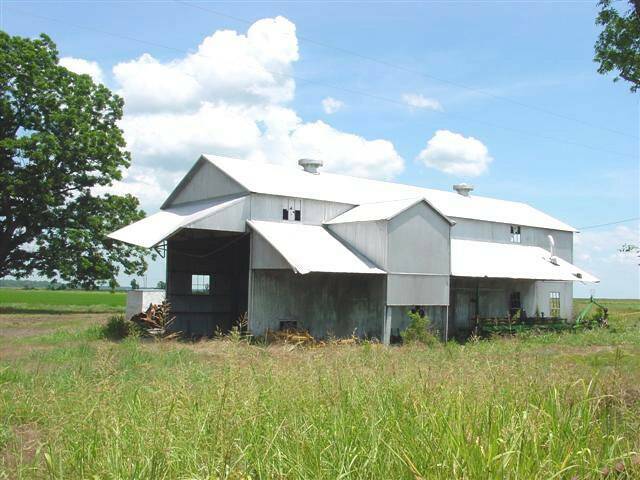 This little establishment, known as The Tomato Place, is south of Vicksburg on the west side of US HWY 61, just south of the 61 by-pass' intersection with old HWY 61. They have all manner of arts and crafts for sale, superb smoothies and the food is excellent. The owners and employees are all friendly and helpful. I had a BLT, with the "T" being a fried green tomato. It ws outstanding. Prior to the 1980s Vicksburg's Margaret’s Grocery and Market was just that, a grocery store. But all that changed when owner Margaret Rogers met her future husband, Reverend H.D. Dennis. The Reverend promised to turn his new wife’s business into a site that would attract people from all over the world, and that’s exactly what he did. Through the use of signs, gates, towers, and a variety of other items, Dennis has created a “unique vernacular art environment” that has been described as a “theological park” by vernacular art scholar Stephen Young. And the inside of the building is just as ornately decorated, filled with beads, Christmas lights, and flowers among other items. In addition to taking in the one-of-a-kind site, visitors are often treated to lengthy sermons, which are delivered by the Reverend himself. But, it is the only information I have ever heard or read about it. 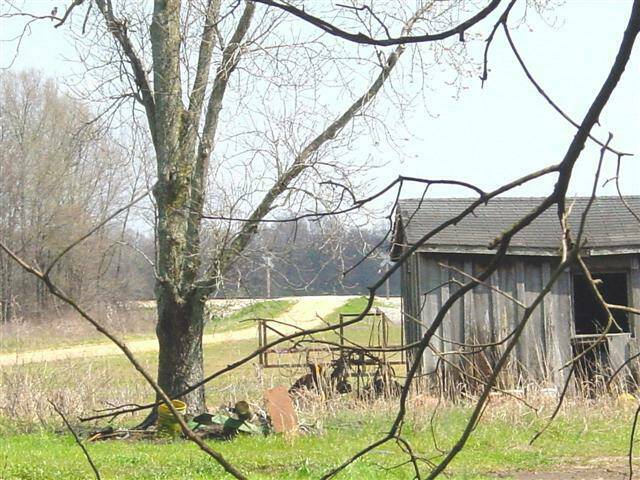 But, in the Miss'ippi Delta, that ain't no worry. The road don't rise and it never will. 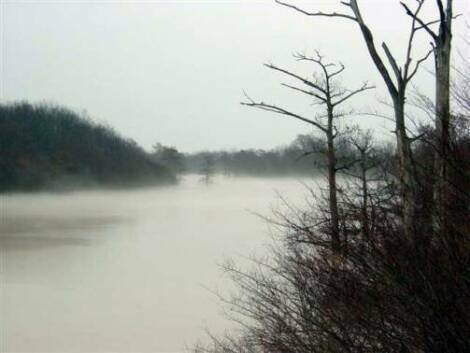 Cypress swamp on the Sunflower River at the Mississippi Highway 14 bridge. A few miles down the road from the swamp.